Pollen Nap is a special attack used by plant enemies, such as Snapdragons and Piranha Plants. 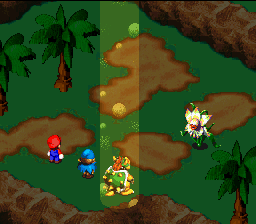 Super Mario RPG: Legend of the Seven Stars. The attack puts Mario or one of his allies to sleep. The inflicted party member will not be able to attack for 3 battle turns once asleep, unless physical damage is done or an item that cures the sleep ailment is used. This page was last edited on May 21, 2017, at 23:36.